Jacquie is an Ottawa makeup artist who also services Kingston, Belleville & the surrounding areas, including Prince Edward County. Frequently asked questions (FAQs) are answered here in order to ensure a more smooth & seamless inquiry process. why should I book a bridal trial? Meeting you prior to your wedding day makes a world of difference in ensuring that you'll love your wedding day makeup. Trials eliminate stress & uncertainty, allowing us to get to know one & other too! Tweaks to your skincare routine are also suggested at the trial (if necessary) & after we're done, you'll have the opportunity to test out its wear time, how it photographs (selfies highly encouraged) & view it in the lighting conditions that you'll be in on your big day. You are also totally welcome to have your trial done before you fully commit to me as your bridal makeup artist. Ultimately, I want to provide the best possible experience for you on your big day & having a trial allows me to do so! There is really no guideline set in stone for when you should book, but I always say the sooner the better to avoid disappointment! Most brides book 12-18 months in advance & due to high demand, I am unable to inform brides if another bride has inquired about their date. In order to be held, all wedding dates require a 50% (non-refundable) retainer, which also locks in your pricing, in addition to a signed contract. Yes! I bring luxury to wherever you may be. This keeps the experience as intimate & comfortable as possible for you, without the need to worry about timing or traffic! I provide makeup services in Ottawa, Kingston, Prince Edward County & the surrounding areas. Is your location not listed? Please feel free to get in touch, as I'll never turn down the chance to explore a new city! I use a wide range of products ranging from luxury to professional brands, all of which I have spent years testing (& rejecting). Some of my favourite lines include Hourglass Cosmetics, RMS Beauty, Marc Jacobs, Stila Cosmetics, Laura Mercier, Graftobian, RCMA & of course my own, JACQUIE. Cosmetics! Everything in my kit is also cruelty-free because I firmly believe that beauty does not ever have to equal pain! how do i touch up? While I like to think that my applications are bulletproof, I always suggest buying your lip colour & translucent powder for the day of. I created JACQUIE. Cosmetics with my bridal babes in mind, so you can find both of those products over there. As far as touching up itself goes, I have you covered with this article I wrote: How-To: Touch Up Your Makeup in 3 Easy Steps! The products I use provide the same long-wearing coverage offered by airbrush makeup. I am fully confident in their ability to enhance your most gorgeous self (while also lasting well past your first dance)! what sort of timeline should I expect? I generally allot 45 minutes per bridesmaid & one hour for the bride. If extra services are required, such as tattoo coverage, more time is allotted. An exact timeline will be provided well in advance of your scheduled date. Additionally, it's always a good rule of thumb to eliminate distractions during makeup applications, including cell phone usage & eating, to ensure your timeline runs smoothly. I'm ridiculously excited to announce that I've hired a hairstylist on my team! Her portfolio will be added soon, so until then, get in touch with me for more booking details. 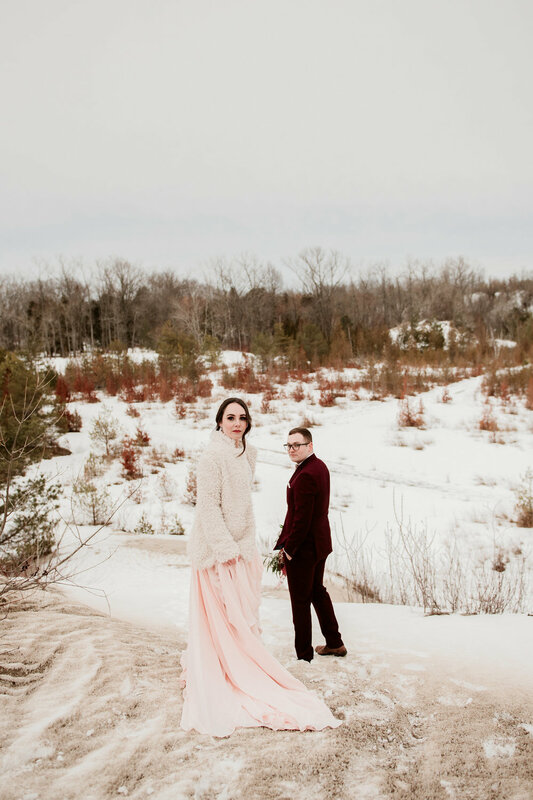 how should i prep for my wedding? I've got you covered in this blog post!